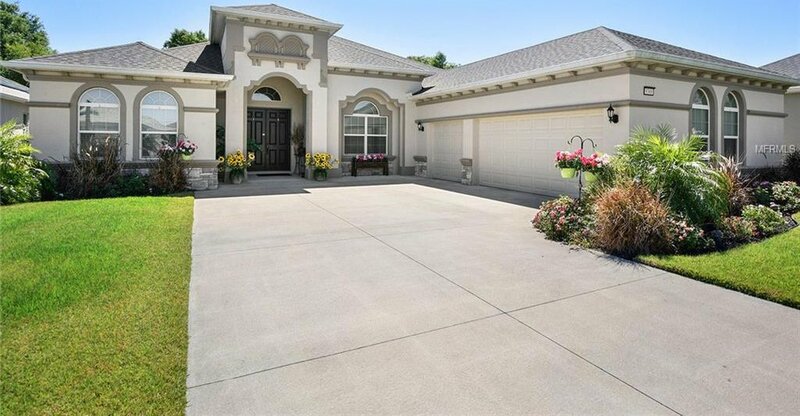 LIVE YOUR ACTIVE LUXURY LIFESTYLE in this gorgeous 2016 custom built beauty! 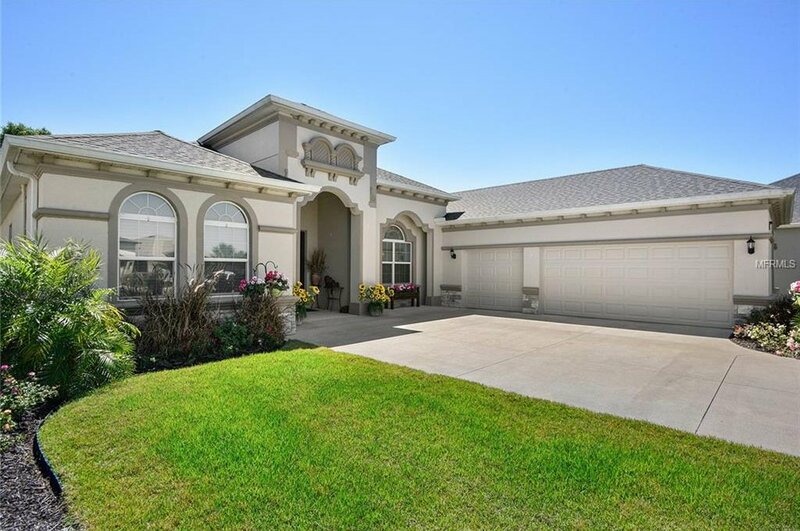 YOU CANNOT BUILD A HOUSE TODAY FOR THIS LOW PRICE! 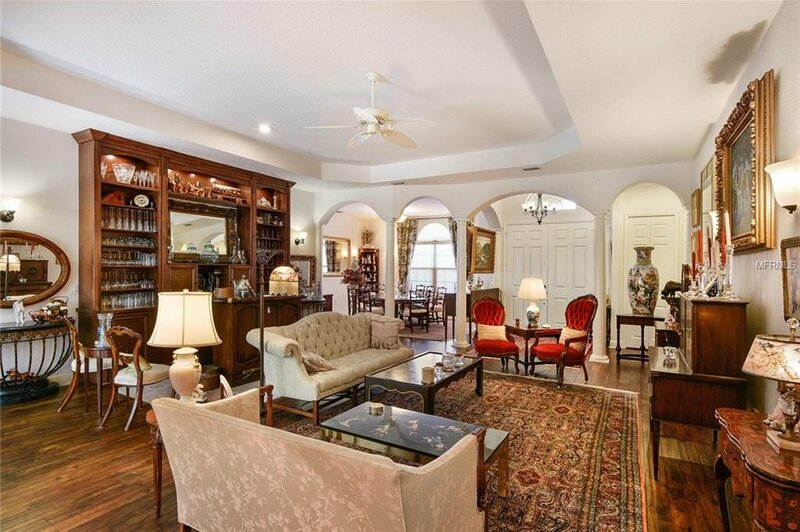 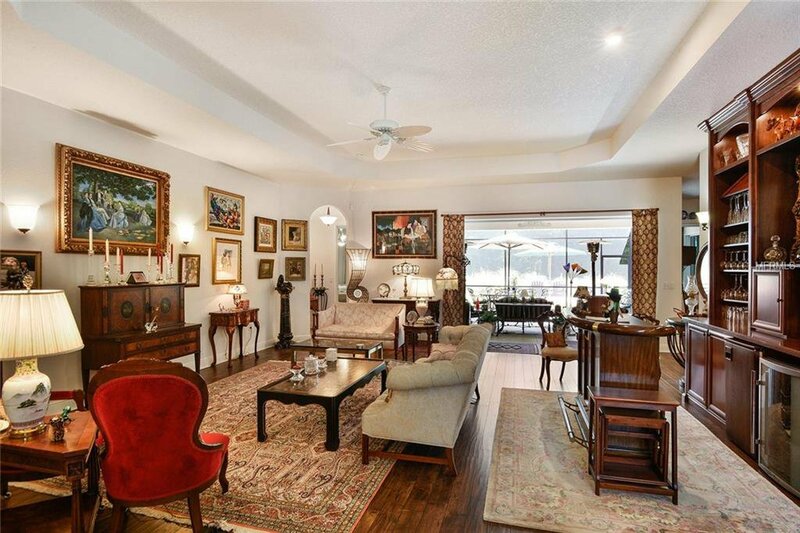 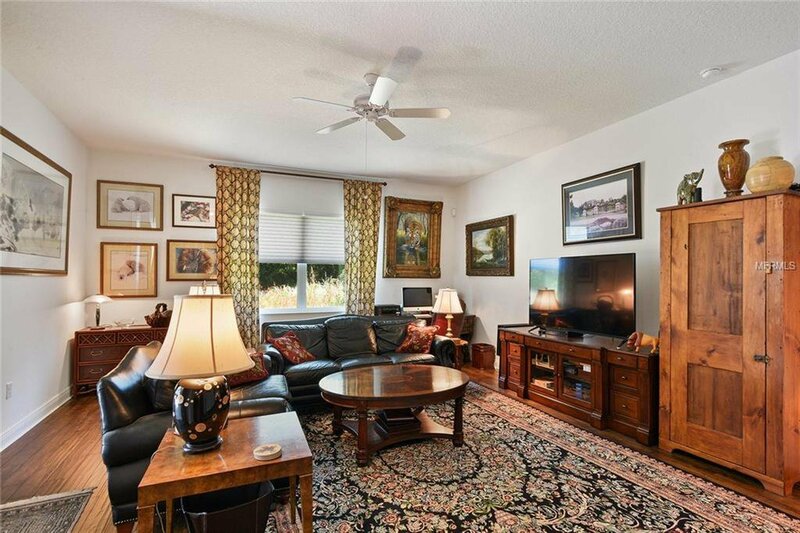 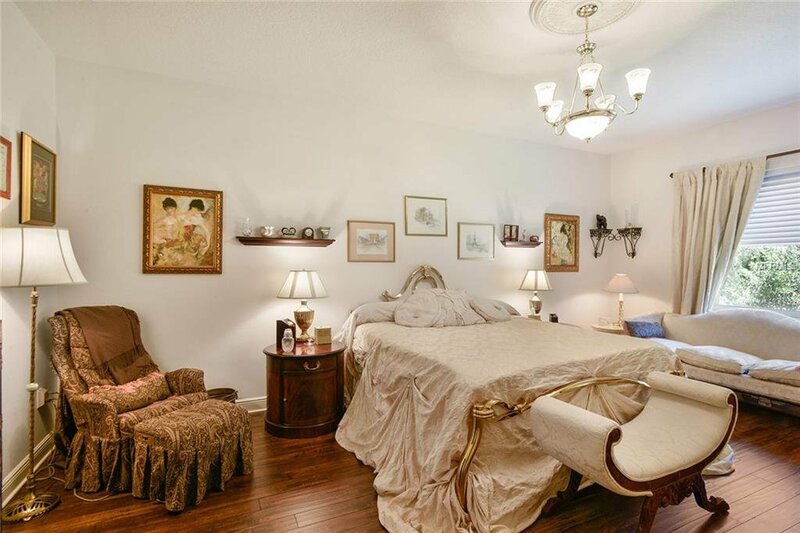 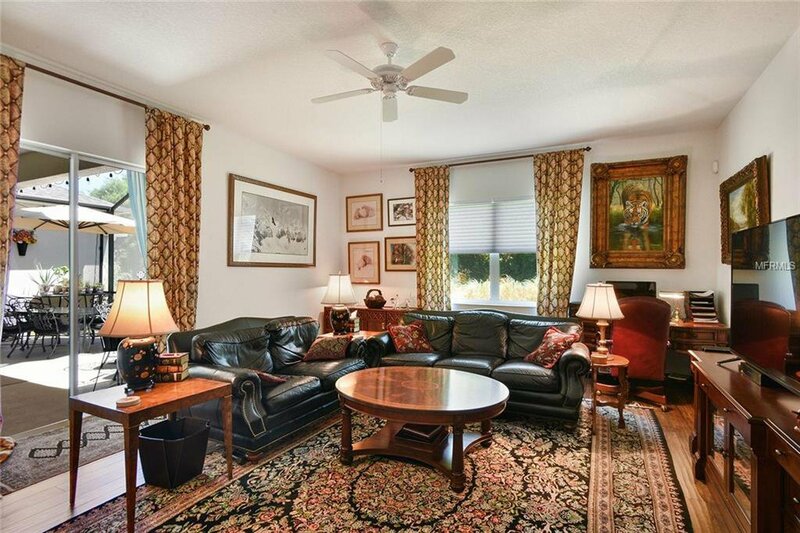 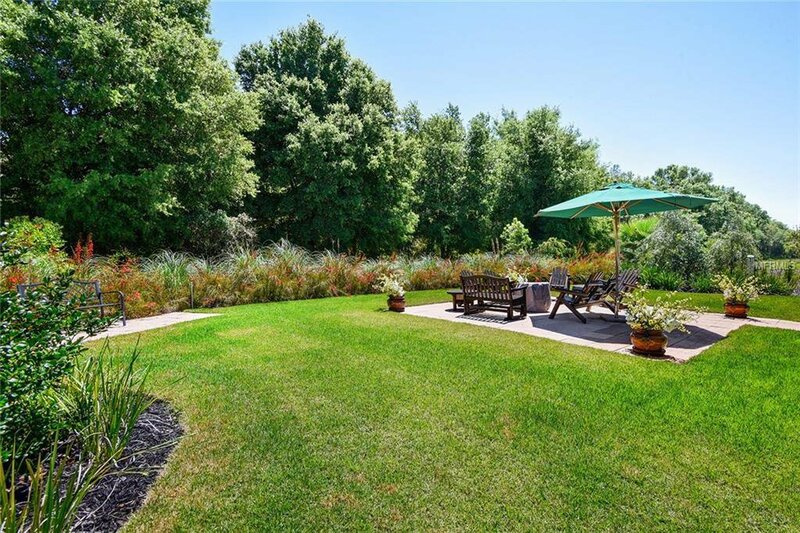 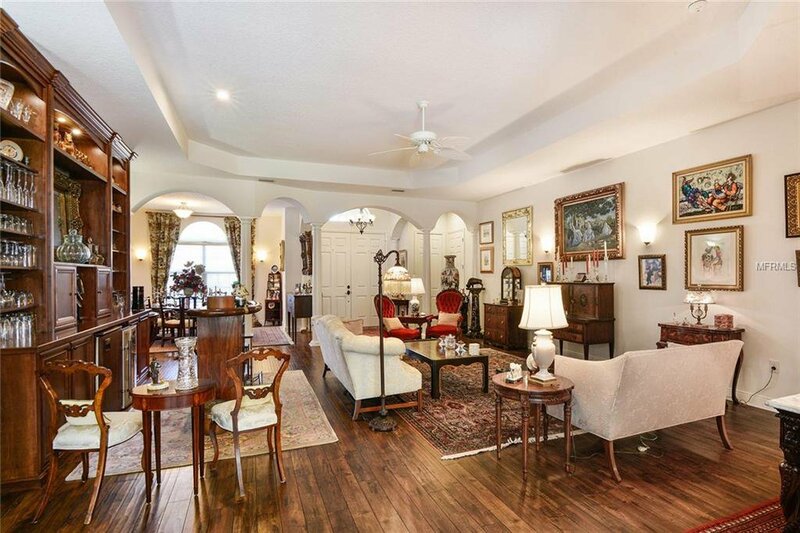 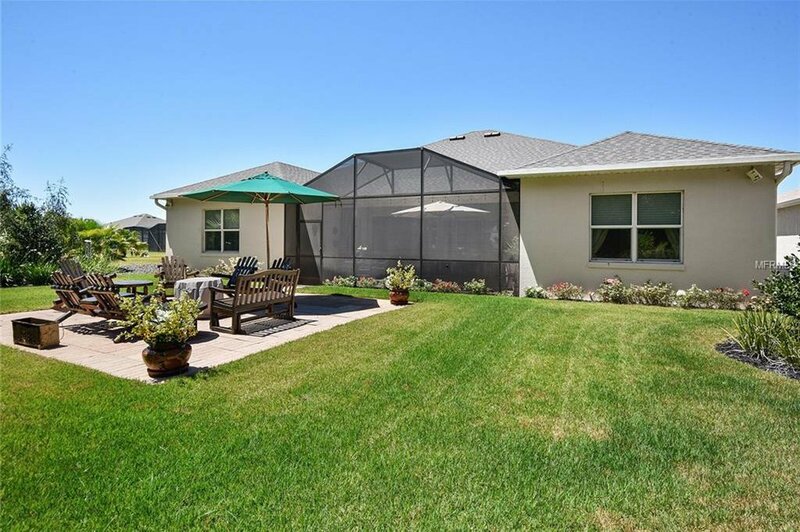 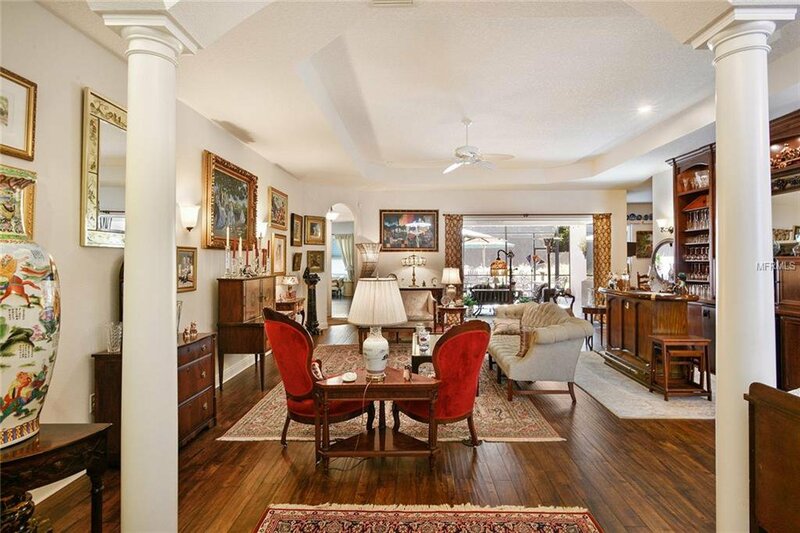 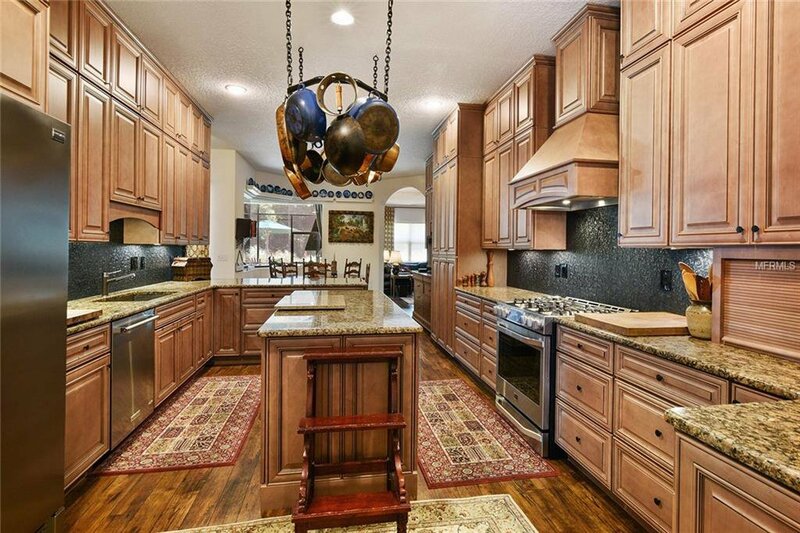 This home has luxury custom features typically found in Million dollar homes. 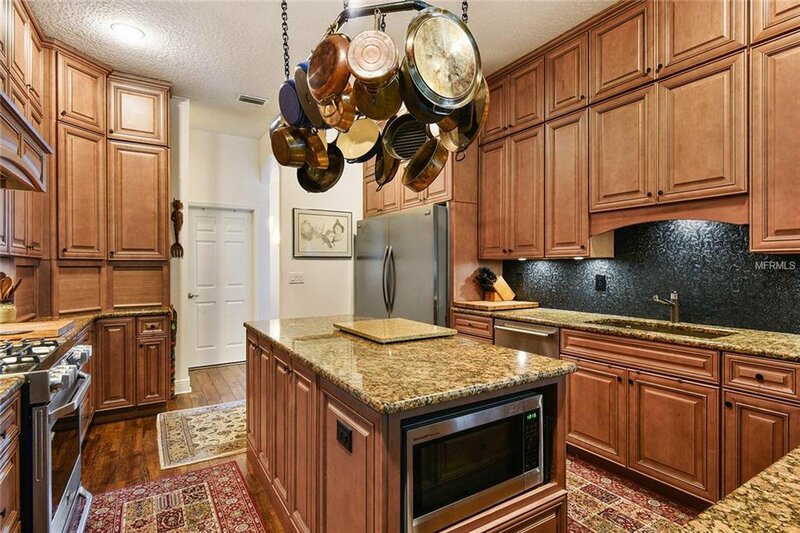 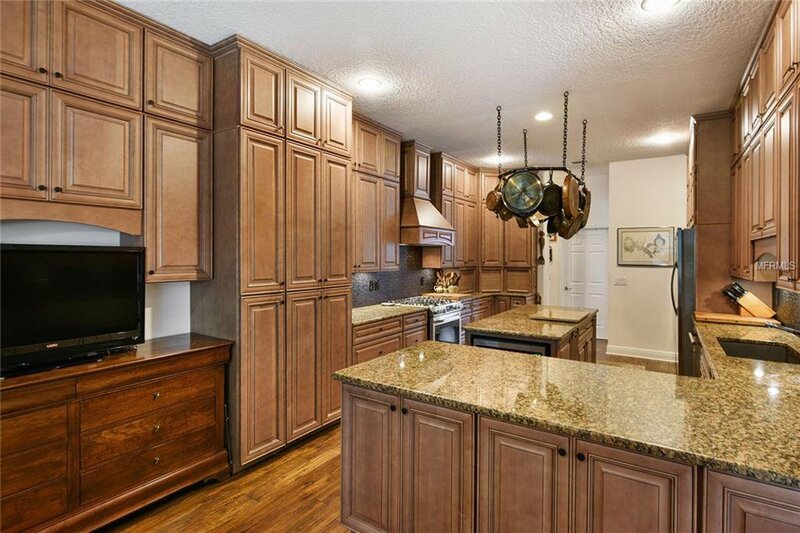 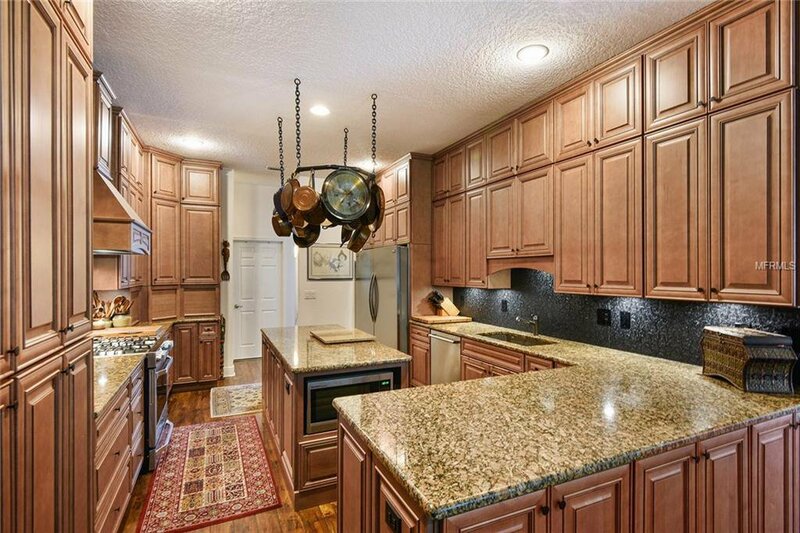 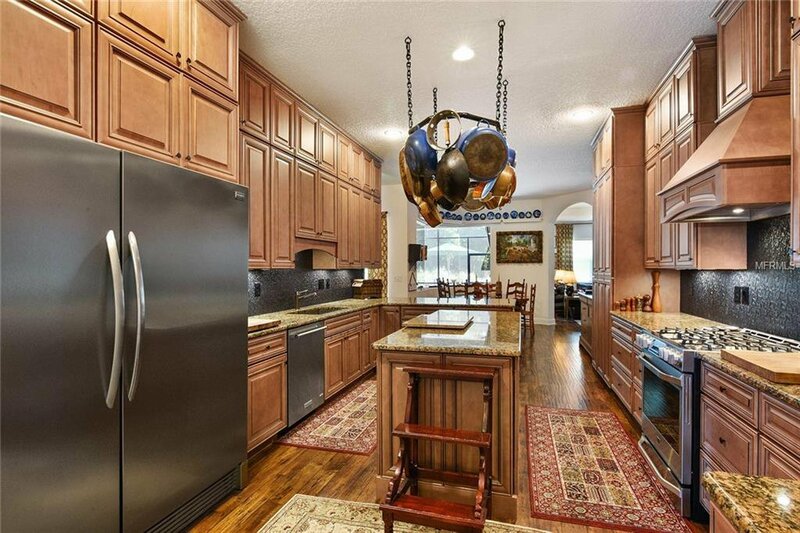 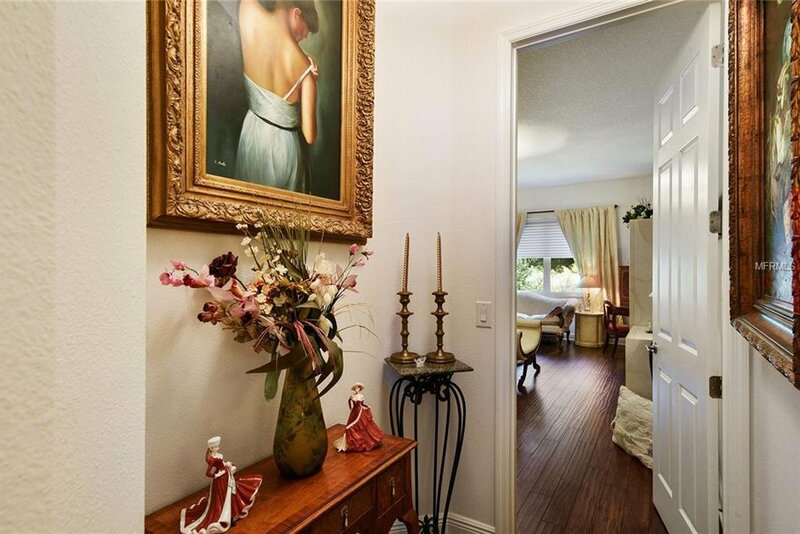 57 CUSTOM SOLID WOOD Kitchen Cabinets,10 Ft Ceilings,& engineered scraped hard wood flooring. 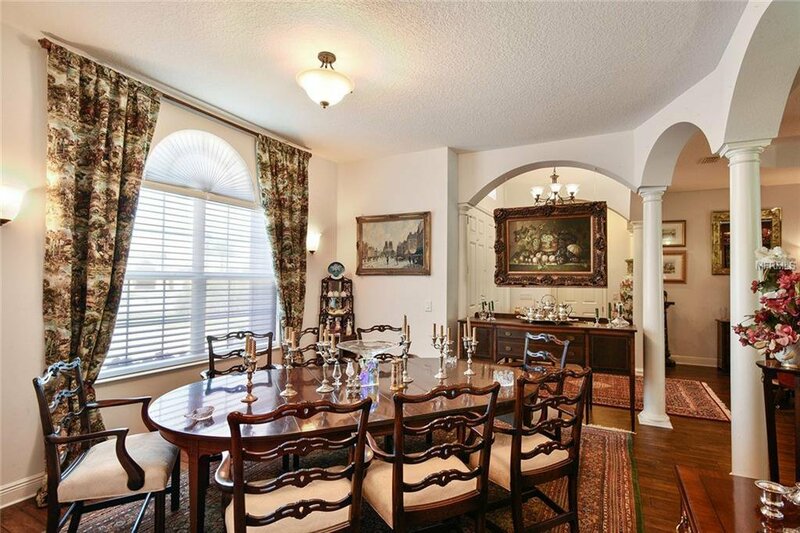 This home is special, starting at the 35' driveway you'll notice the gorgeous arched features, exterior accents & details that show you this is no ordinary residence.Through the entry double doors you will find a large living room that has custom solid Maple Built In Unit, with Garden views in the distance.The custom Kitchen is complete with pull out drawers, Soft close cabinets,Granite Counters,Blanco Sink,Custom Lazy Susan,spice storage pull outs,&MORE! 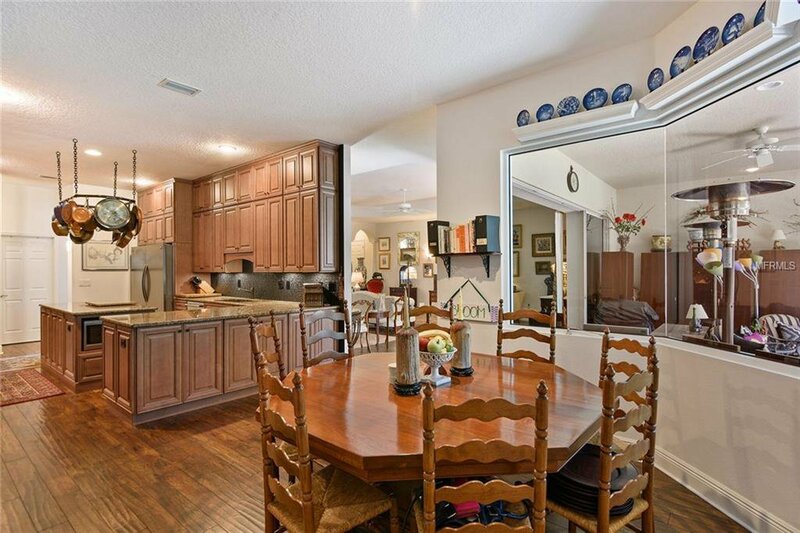 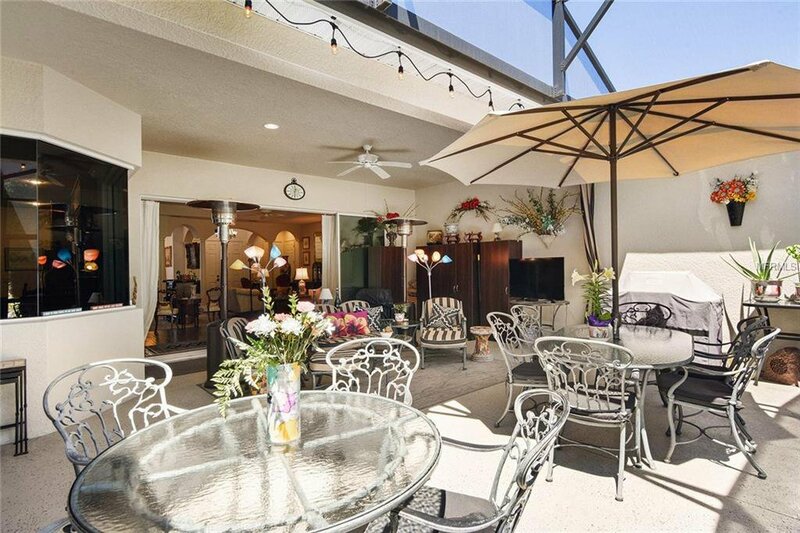 Just beyond the kitchen is a custom oversized family room/In law suite with direct access to a full 3rd bathroom & lanai. 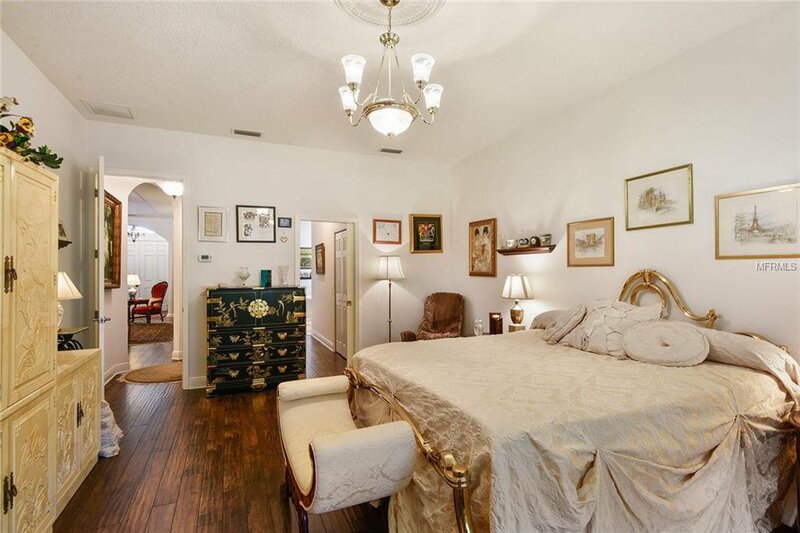 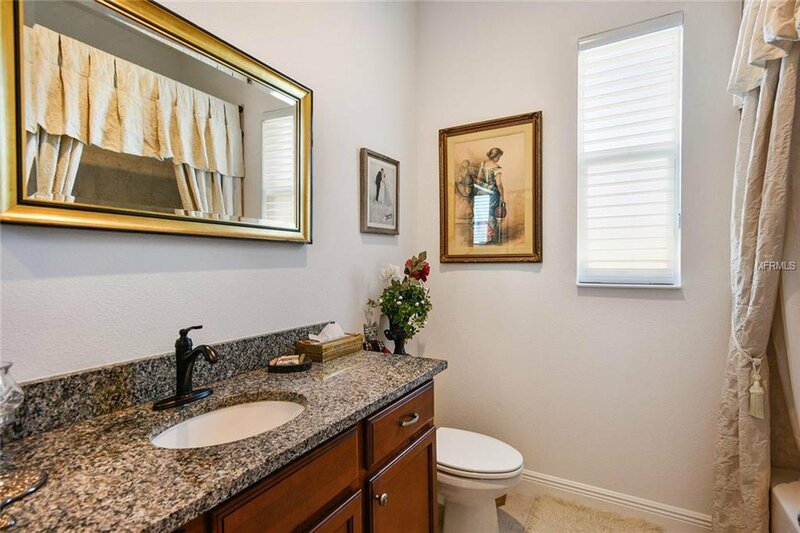 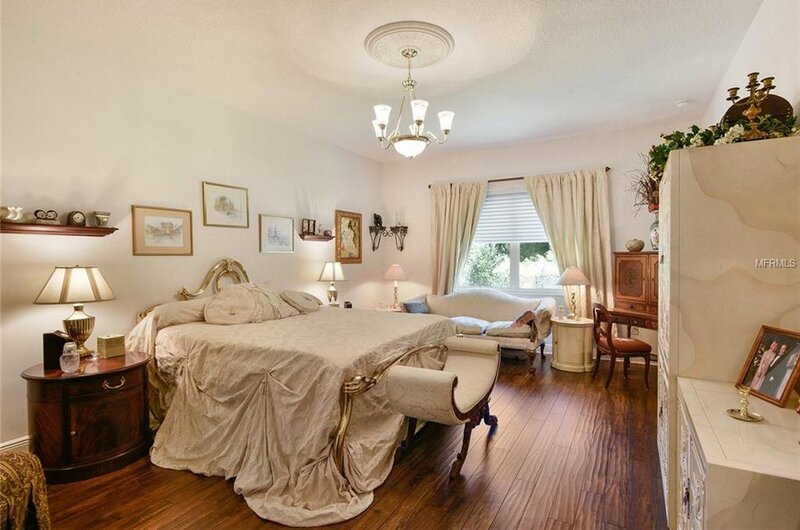 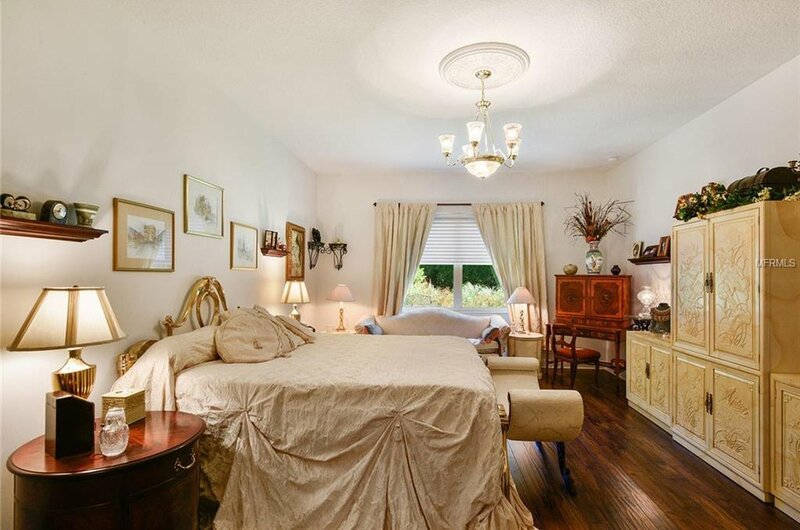 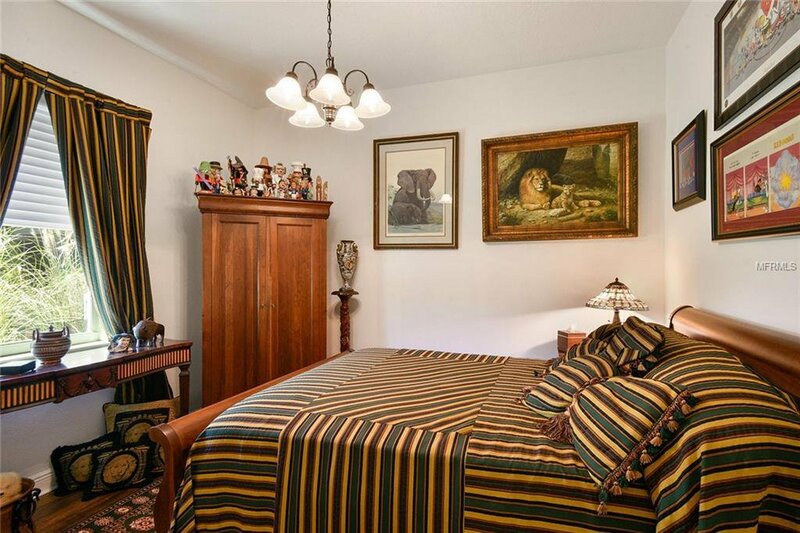 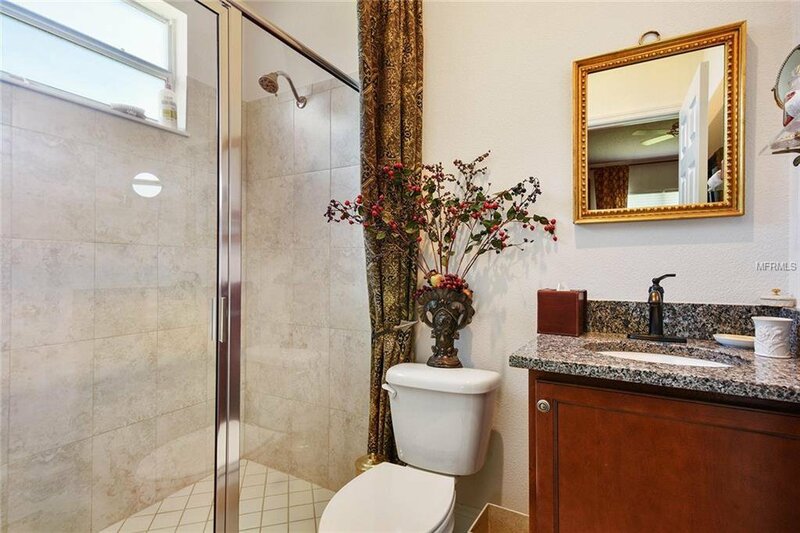 The oversized Master Bedroom retreat is nestled in the back of the house & has great closets & large master bath with tankless water heater.The back yard contains Spartan Junipers that frame the back yard along with fruit trees and native plantings for plenty of private outdoor space! 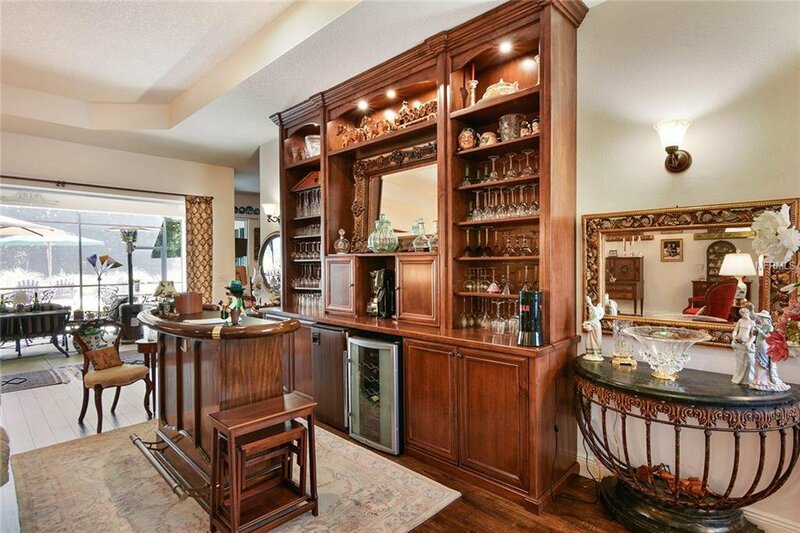 Need a hobby room or extra storage? 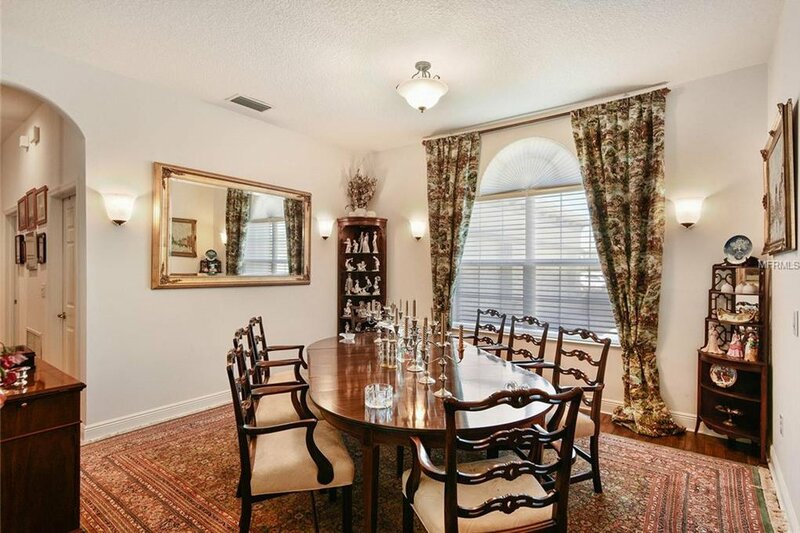 There is a private bonus room! 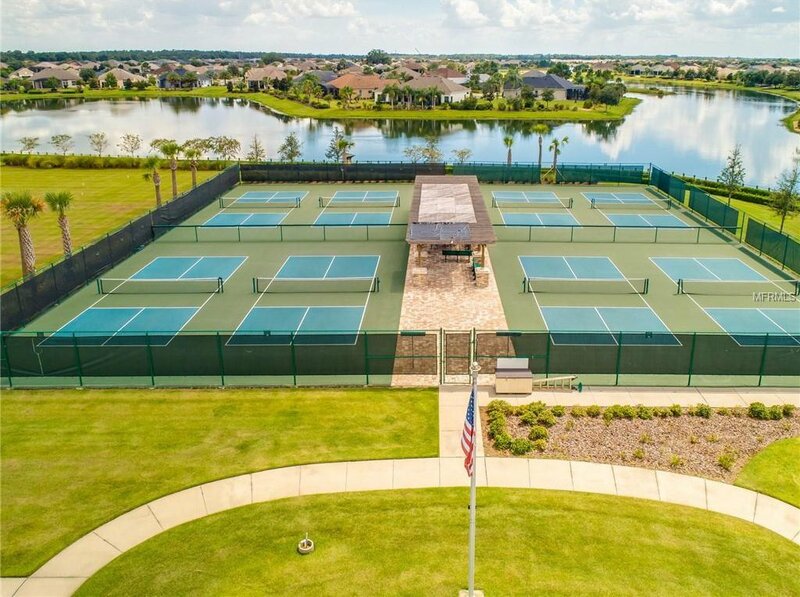 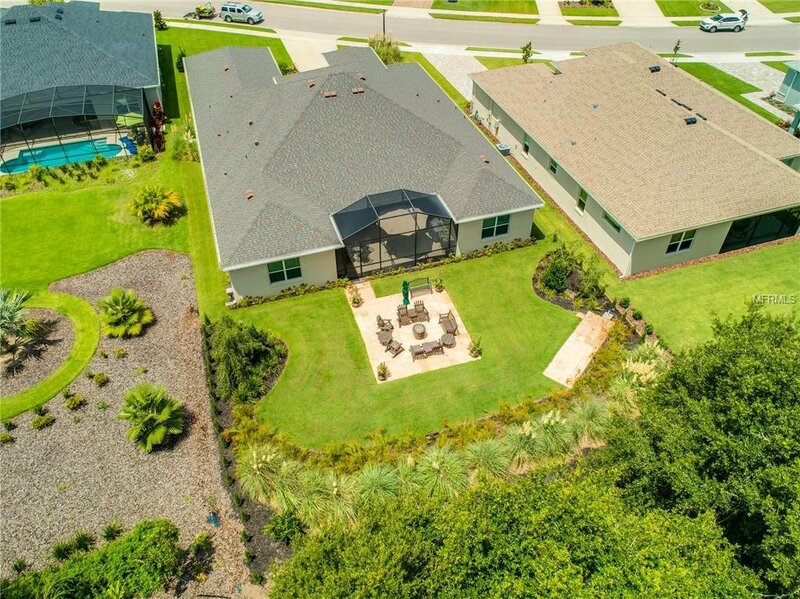 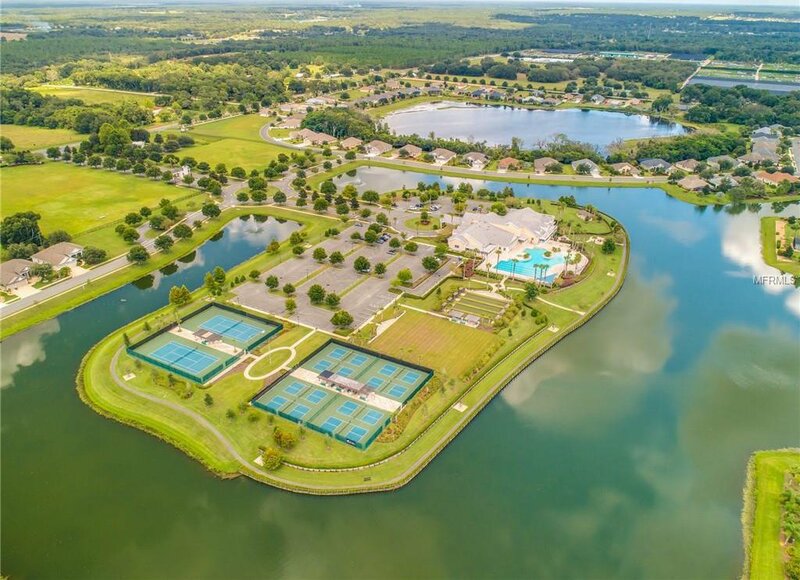 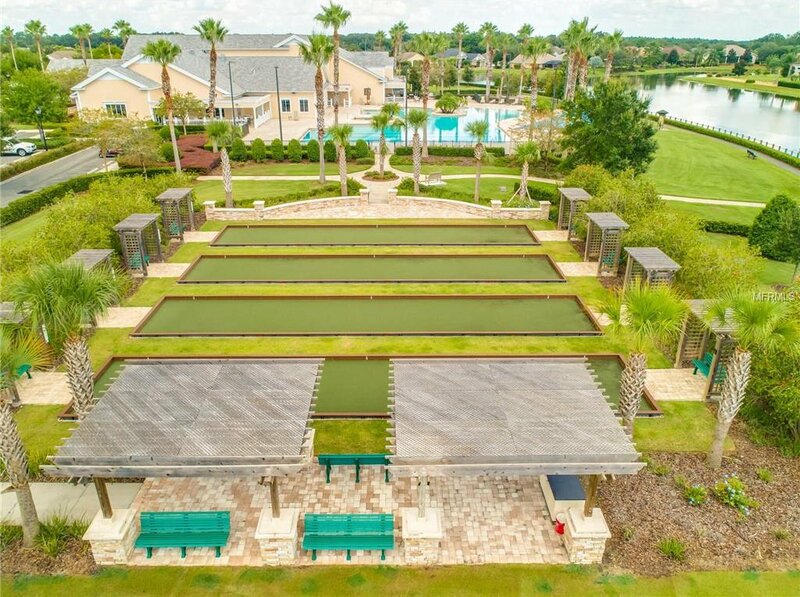 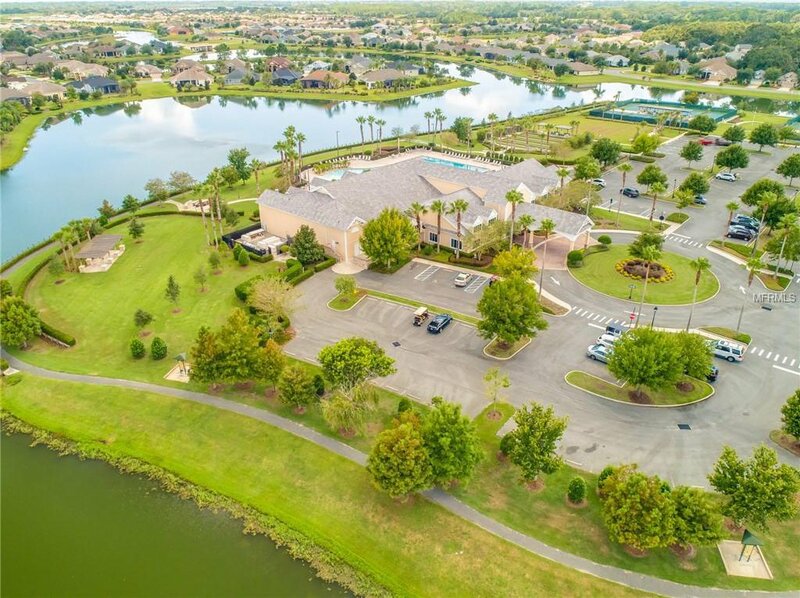 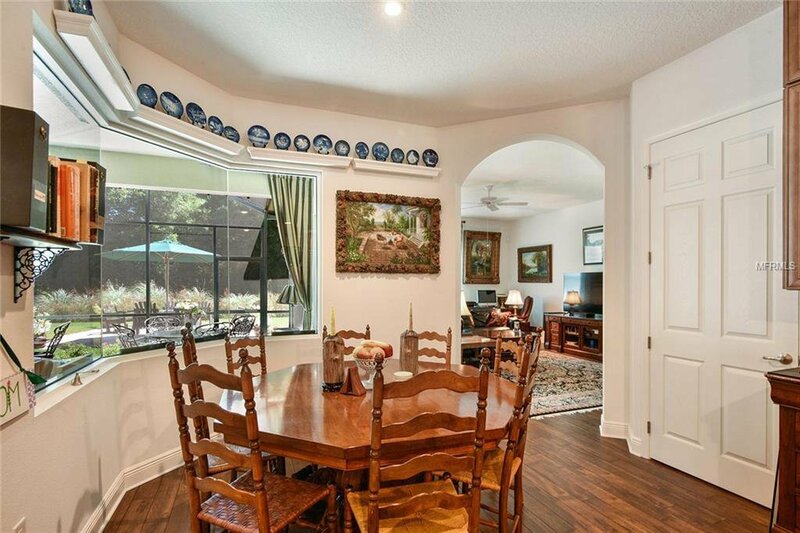 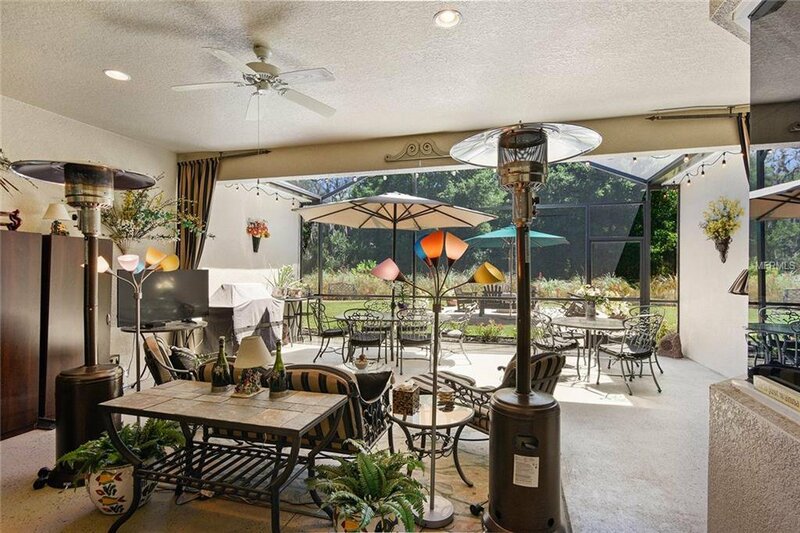 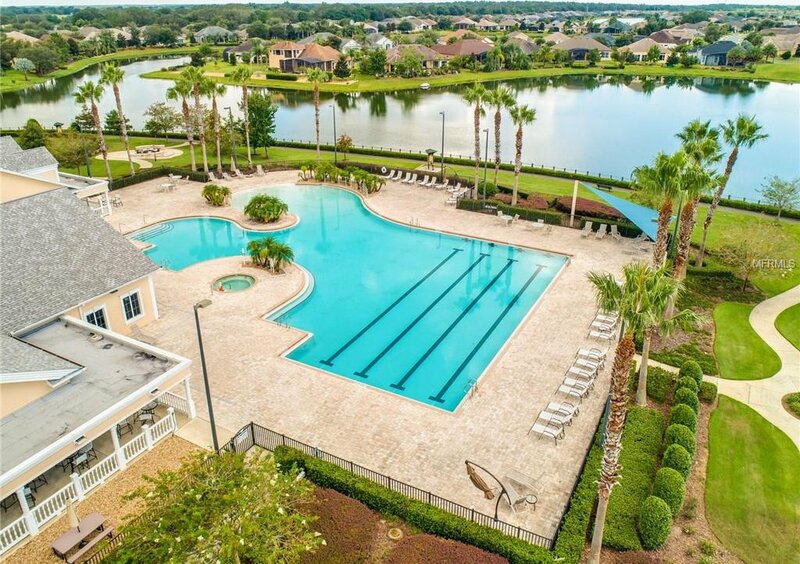 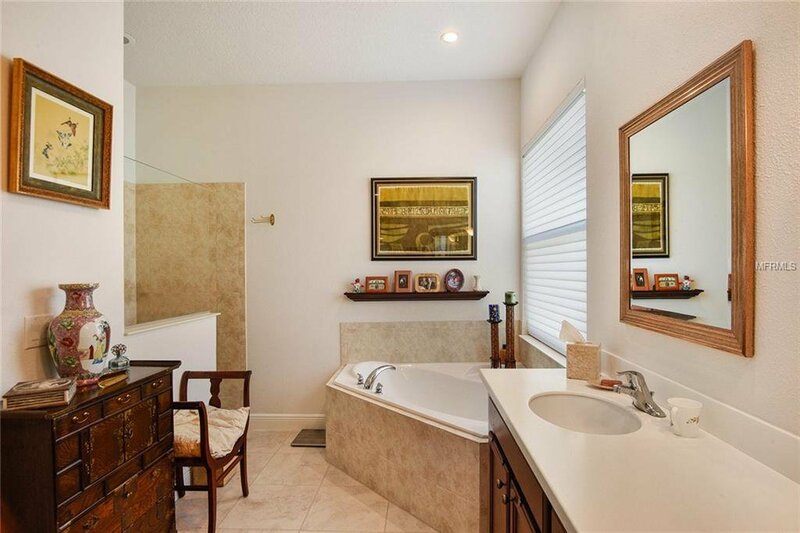 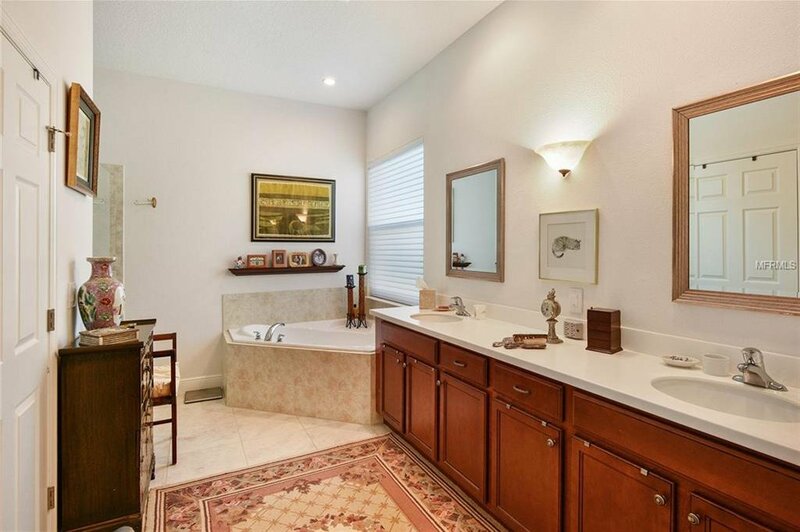 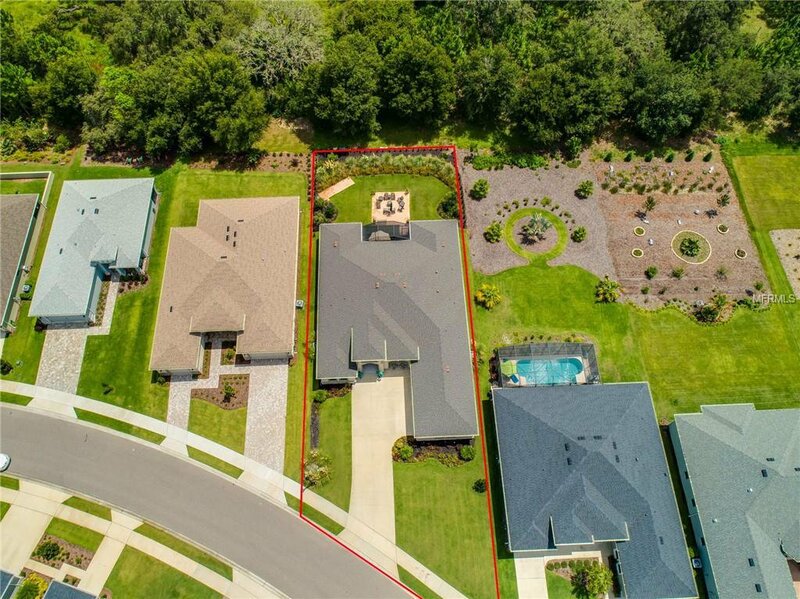 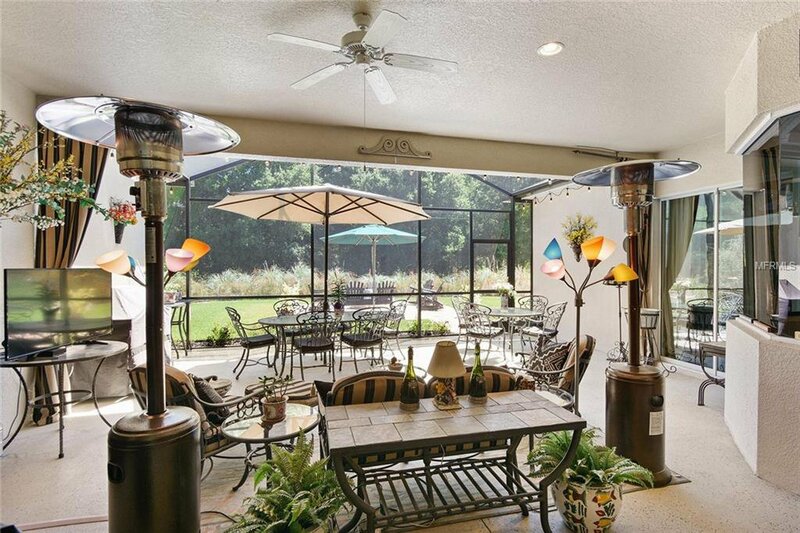 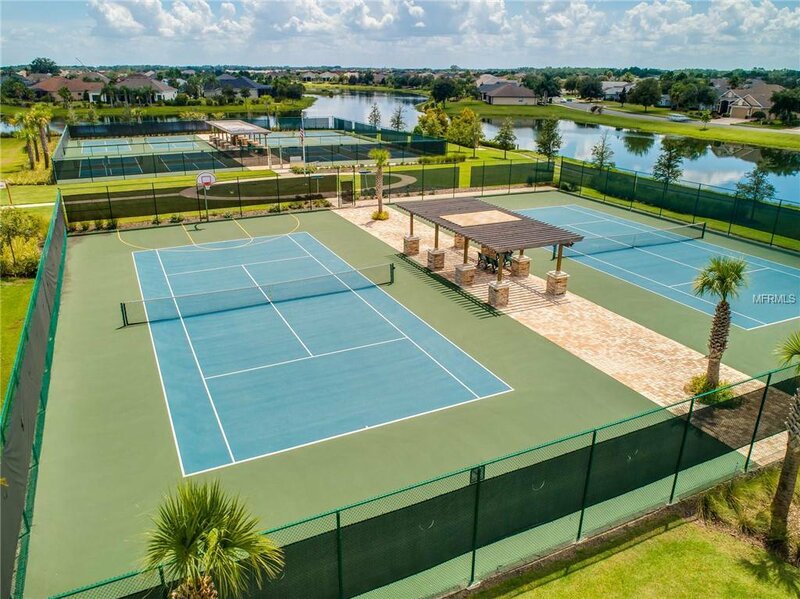 Tons of storage options,& custom shelving in garage & more!home is located in an active 55+ Community featuring resort style pool,Fiberoptic internet ,clubhouse, walking trail,Fitness,tennis courts,Croquett,Pickle Ball,lake access,Boat and RV Storage & more! 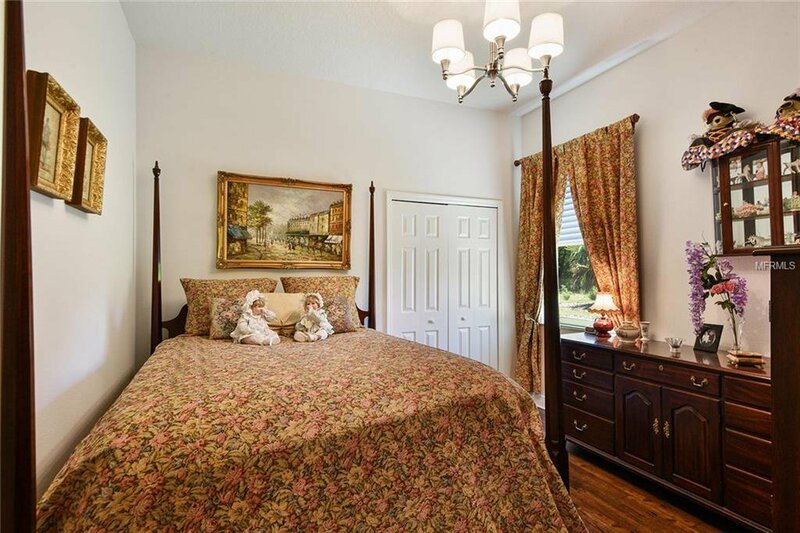 Just 5 min to Historic Mount Dora!